Graduation season is in full bloom, as both newly minted graduates and undergraduates seek out internships as a springboard to full-time employment. However, if brands and organizations think they can continue having unpaid interns without raising questions about their reputation, they best think again. According to a recent survey released by OurTime.org, the majority of young Americans are against unpaid internships. For years, unpaid internships were de rigueur in corporate America. But the social media generation has started to change that. For example, in April Condé Nast settled a class-action suit filed last year by two former interns who claimed they were paid less than $1 an hour for summer work at the consumer-magazine publisher. In the wake of the settlement, Condé Nast CEO Charles Townsend reportedly hinted that a new internship program (with pay) might be in the works. The Fair Pay Campaign works with companies, universities and the Department of Labor to end the practice of unpaid internships. Some areas, including the public sector and the research community, will continue to offer unpaid internships. Not so for the private sector, and that includes the majority of brands and PR agencies. As the trend to end unpaid internships picks up steam, companies and agencies will have to consider changing their intern practices and paying interns a decent wage. Otherwise, companies may face the same legal headaches about internships that plagued Condé Nast earlier this year. These days PR is predominately about listening. 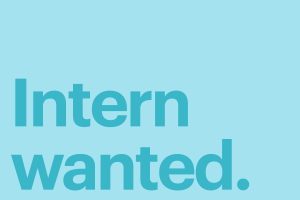 Now PR managers on both the client and agency sides need to listen to the groundswell developing that (for most organizations and industries) unpaid internships are bad for business.